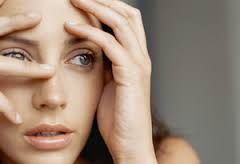 For children, divorce can be a stressful, sad and confusing time. At any age, children may feel uncertain or angry at the prospect of Mum and Dad splitting up. 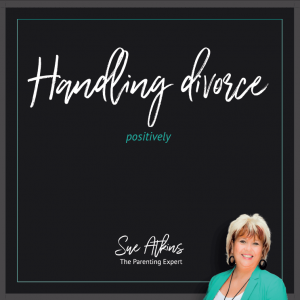 Talking To Children About Divorce can be used at home and at school to start conversations about the changes that children and families face when going through a divorce. 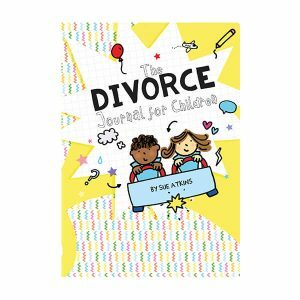 Talking to Children About Divorce is now available to buy and is a fabulous resource for parents going through family break down as well as a useful resource for teachers, counsellors and therapists working with children and families during this highly stressful time of change. 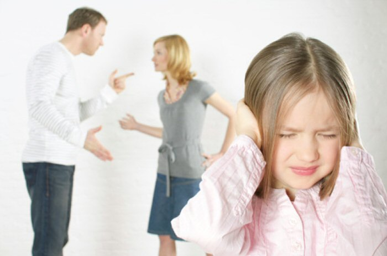 For children, divorce can be a stressful, sad and confusing time. At any age, children may feel uncertain or angry at the prospect of Mum and Dad splitting up. 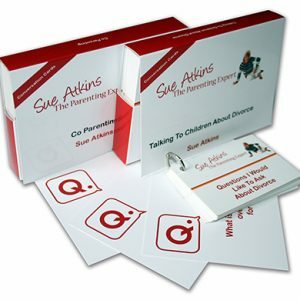 These cards can help give parents clarity, direction and confidence around the emotional and practical aspects of managing their divorce Written by Sue Atkins, an internationally recognised Parenting Expert, Broadcaster, Speaker and Mum. 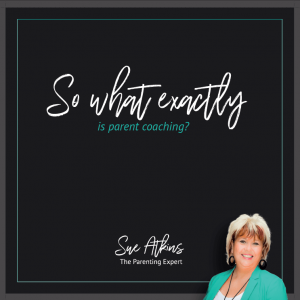 Sue is the author of many parenting books including Amazon best seller, Parenting Made Easy – How To Raise Happy Children and Raising Happy Children for Dummies. 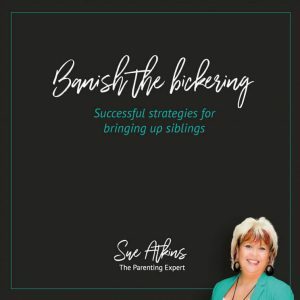 Sue regularly appears on TV and is a regular contributor on radio, her parenting articles are published all over the world. 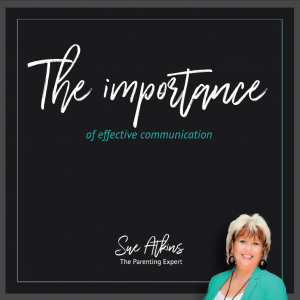 about how having great conversations can help children and families manage the impact of divorce positively. Be the first to get your hands on this great resource by ordering your pack today and please tell other families, schools and people experiencing the pain of family break down about them. 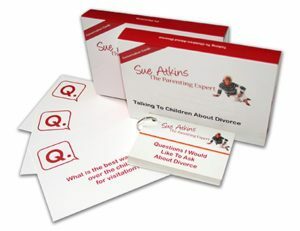 “Thank you for passing on the “Questions I would like to ask about Divorce” cards, which I found very useful for both myself & my 6yr old son. They really helped him to open up & ask me certain questions without feeling anxious or apprehensive. We were able to talk through his worries on numerous occasions using the cards as prompts. 1 review for Talking To Children About Divorce.